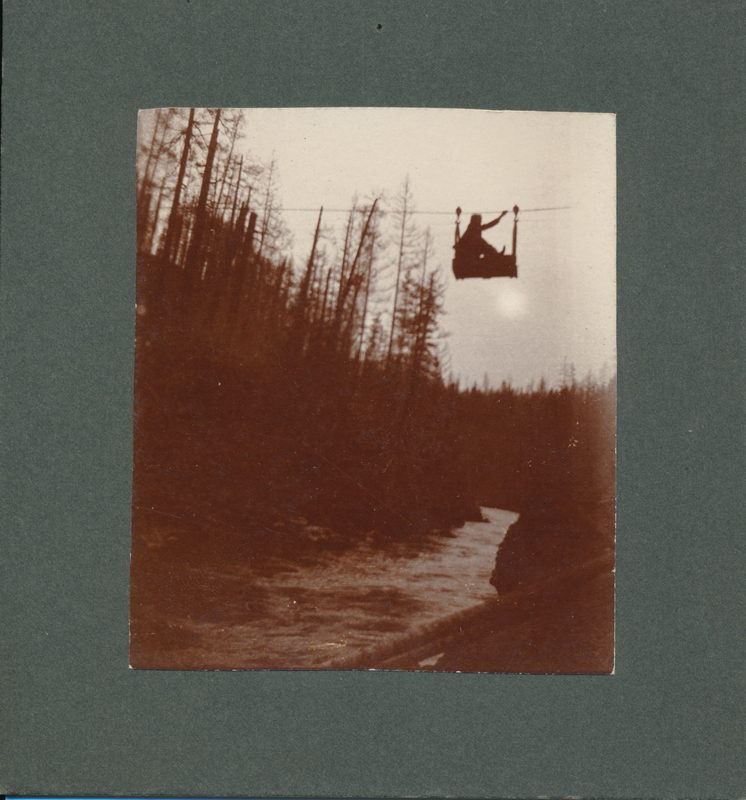 Description Photo of someone riding in a pulley cart across the Clackamas River. Photo taken by Preston Theodore Glenn who was the son-in-law of Henrietta Sussanah Carman Magone. Photo courtesy of Gary Glenn.